If there’s one distinctive feature of the British countryside, it has to be the hedgerow. In fact, hedgerows are such an established part of our landscape that sometimes we take them for granted. But take a closer look, and the diversity and variety of plant species that form them is little short of wondrous. And it is not only plant life that thrives in abundance in the hedgerow – native wild animals, birds and insects are protected and nourished by them. We know that at least 65 species of birds live in our hedgerows and that they are crucial to the survival of moths, bats and dormice. Hedgerows can provide a great fund of fresh, wild food for us, too, and this is partly what this book is about. In The Hedgerow Handbook Adele Nozedar reintroduces the wild and natural hedgerow ingredients that our grandmothers used on a regular basis – but gives them a fresh and contemporary twist. From angelica to ash and bird cherry to borage, from pineapple weed to plantain and wild garlic to wimberries, each entry is accompanied by an exquisite full colour illustration to help you identify each plant or flower, along with its history and folklore, and culinary and medicinal uses. You won’t find yet another recipe for blackberry pie nor nettle soup here however – this is not your run-of-the mill hedgerow book. Instead, why not try Adele’s Spicy Ash Key Pickle, her Beechnut Turron, Red Clover Lemonade or Wild Raspberry Vodka? The Hedgerow Handbook is much more than a foraging book – it is an inspiration and a trigger for a new experience of our countryside and for memories: of a summer filled with hot sunny days; or of the time you got drenched in a sudden rain shower miles away from the warmth and dryness of your car or home, which made those blackberry muffins even more enjoyable. 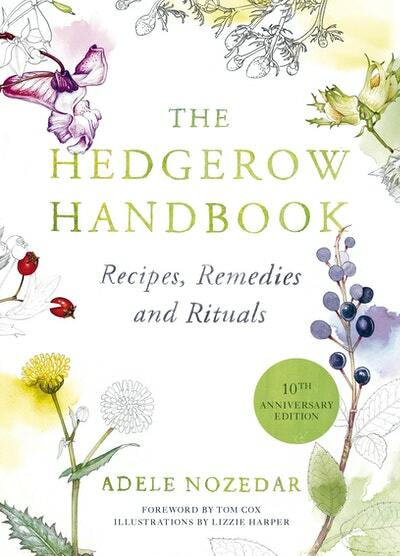 Love The Hedgerow Handbook? Subscribe to Read More to find out about similar books.